Did someone else's mistake or poor decision cause an accident that left you seriously injured? If so, you can turn to our law firm - Cope, Zebro & Crawford, P.L. - for aggressive legal representation. Our Ozona personal injury attorneys are equipped with more than four decades of combined legal experience. 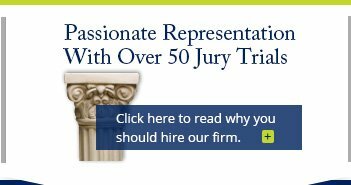 Throughout their careers, these legal professionals have gained their fair share of trial experience, having represented clients in more than 50 jury trials. At Cope, Zebro & Crawford, P.L., we have Real Trial Lawyers, not just lawyers who say they go to court. We believe that the only way insurance companies will pay the full value of your damages is if they fear a verdict at trial. 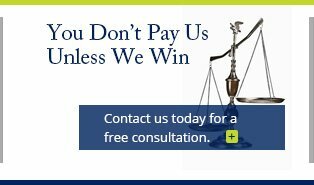 Our reputation as Real trial lawyers helps us get our clients the compensation they deserve. Of course, you will never have to pay us a penny for our work unless we win your case. Our legal team advocates for injury victims in Ozona, Florida, which is a small unincorporated community that is located on Florida's west-central coast. Located in Pinellas County, Ozona has approximately 775 households. This community is just a few miles to the north of downtown Dunedin. Look for our firm's koozies in every Ozona restaurant. Our firm maintains a strong presence and commitment to serving Ozona! Do not hesitate to reach out to our firm for assistance with your Ozona personal injury case! Our legal team has experience handling various types of personal injury cases. 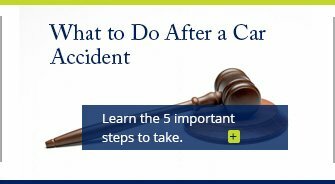 The most common types of cases we receive are those involving accidents that occurred on the road. These include car accidents, motorcycle accidents, truck accidents, etc. We can also help injury victims pursue compensation following bicycle accidents and pedestrian accidents. Our firm has a unique advantage in cases involving DUI accidents, since one of our attorneys previously served as a DUI prosecutor. Furthermore, we have lawyers who formerly represented trucking companies, which gives us a competitive edge in truck accident cases. In addition to traffic accidents, our firm accepts wide range of other personal injury matters. We assist those who were injured on the waterways, such as those hurt in boat accidents and maritime accidents. Our attorneys represent victims of dog bites, as well as victims of slip and fall accidents. In wrongful death cases, we help the families of deceased accident victims take action to hold the at-fault parties accountable. All of the personal injury cases we handle are greatly benefited by the fact that our lawyers have previously provided legal defense for insurance companies. This makes us extremely savvy in how to negotiate with insurers and how to identify when they are trying to take advantage of the victim. Our attorneys are ready to provide you with high-quality, personalized legal assistance. We are committed to offering legal support that is both sincere and effective. 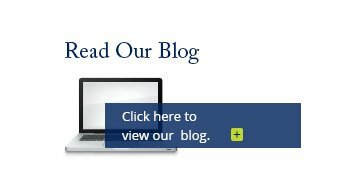 Contact Cope, Zebro & Crawford and find out about our free case evaluations!